You get to be loved by five dogs, making this an instant must-buy. The Red Lantern, a narrative rogue-lite, was announced earlier this week during the Nindie Spring Showcase. A debut title from Timberline Studio, the game is set to release sometime this Summer. The Red Lantern follows the story of The Musher, a vagabond who decides to enter into the fatiguing and dangerous Iditarod race to prove something of herself. Ashly Burch (Horizon: Zero Dawn and Life is Strange) voices this protagonist, and it is clear from the moment the trailer begins that her voice acting is as stellar as ever. Instantly, you feel for and sympathize with the main character, and you root for her success in the Alaskan wilderness. But of course, challenges will await you in the snow-covered wasteland. 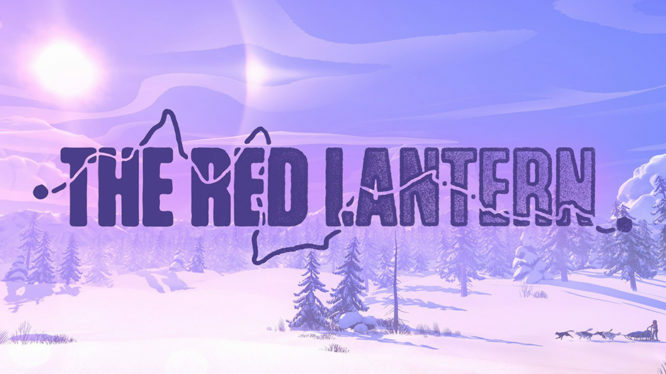 With a visual style and narrative focus highly reminiscent of Firewatch by Campo Santo, The Red Lantern is not afraid to pin you against the worst the Alaskan race has to offer. The game doesn’t feature an entirely linear plot, and instead, you will be faced with random rogue-like encounters of which hundreds can occur. Whether they are conflicts such as bear encounters and evading frostbite, or heart-warming moments that come from taking care of your pups, you will always have to be on your toes to survive. Check out the trailer for The Red Lantern below. Beware: Trailer is guaranteed to cause viewers to cry. Watch at your own risk.